Prof. Karim Makdisi is an Associate Professor of International Politics and founding Director of the Program in Public Policy and International Affairs at the American University of Beirut (AUB). 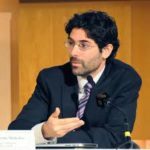 He also served as the Faculty Research Director of the UN in the Arab World Program at AUB’s Issam Fares Institute for Public Policy and International Affairs, where he was Associate Director from 2010-2014. He is also the Primary Investigator/Lead Researcher on behalf of American University of Beirut on the European Commission’s H2020 Program, entitled “Middle East and North Africa Regional Architecture: Mapping Geopolitical Shifts, Regional Order and Domestic Transformations”. His latest publications include the edited volumes The Land of the Blue Helmets: United Nations in the Arab World (Los Angeles: University of California Press, 2017, with Vijay Prashad); Between Regional Autonomy and Intervention: New Conflict Dynamics in the Middle East and North Africa (ed. Boserup et al. Copenhagen: Danish Instituter for International Studies, 2017); and Interventions in Conflict: International Peacemaking in the Middle East (New York: Palgrave Macmillan, 2016, with R. Khouri and M. Waehlisch). He co-authored (with Coralie Hindawi) a long study, Creative Diplomacy Amidst a Brutal Conflict: Analyzing the OPCW-UN Joint Mission for the Elimination of the Syrian Chemical Weapons Program (September 2016). Makdisi, Karim. 2018. “Palestine and the Arab–Israeli Conflict: 100 Years of Regional Relevance and International Failure,” in MENARA Working Papers, (December). Makdisi, Karim and Vijay Prashad (eds.). 2017. The Land of the Blue Helmets: United Nations in the Arab World. Los Angeles: University of California Press. Khouri, R., Makdisi, K., and Martin Waehlisch (eds.). 2016. Interventions in Conflict: International Peacemaking in the Middle East. New York: Palgrave Macmillan. Boserup, R., Hazbun, W., Makdisi, K. and Malmvig, H. (eds.). 2017. Between Regional Autonomy and Intervention: New Conflict Dynamics in the Middle East and North Africa, ed. Boserup et al. Copenhagen: Danish Instituter for International Studies. [150 pages]. Makdisi, Karim and Coralie Hindawi. Creative Diplomacy Amidst a Brutal Conflict: Analyzing the OPCW-UN Joint Mission for the Elimination of Syria’s Chemical Weapons Program, Issam Fares Institute for Public Policy and International Affairs,American University of Beirut, 2016. [147 pages]. Makdisi, Karim and Coralie Hindawi. 2017. “The Syrian Chemical Weapons Disarmament Process in Context: Narratives of Coercion, Consent, and Everything in Between,” Third World Quarterly, Issue 8. Makdisi, Karim. 2017. “Intervention and the Arab Uprisings: from Transformation to Maintenance of Regional Order,” in Between Regional Autonomy and Intervention: New Conflict Dynamics in the Middle East and North Africa, ed. Boserup et al. Copenhagen: Danish Instituter for International Studies, January 2017. Makdisi, Karim. 2015. European Institute of the Mediterranean. “Lebanon: a general assessment on the Situation,” IEMed Mediterranean Yearbook 2015. Makdisi, Karim. 2014. “Reconsidering the Struggle Over UNIFIL in South Lebanon,” Journal of Palestine Studies, Vol.14, No.2, Winter 2014.